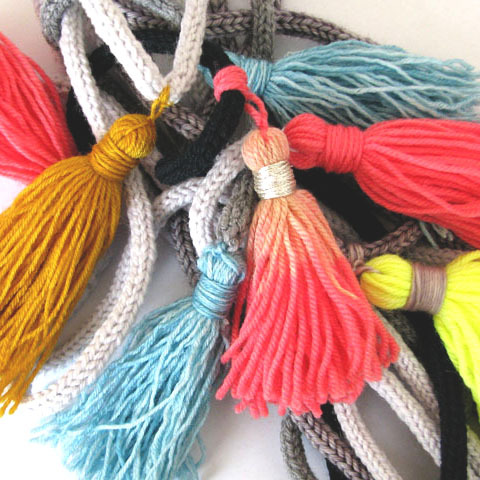 Add some tassel fun to your projects! 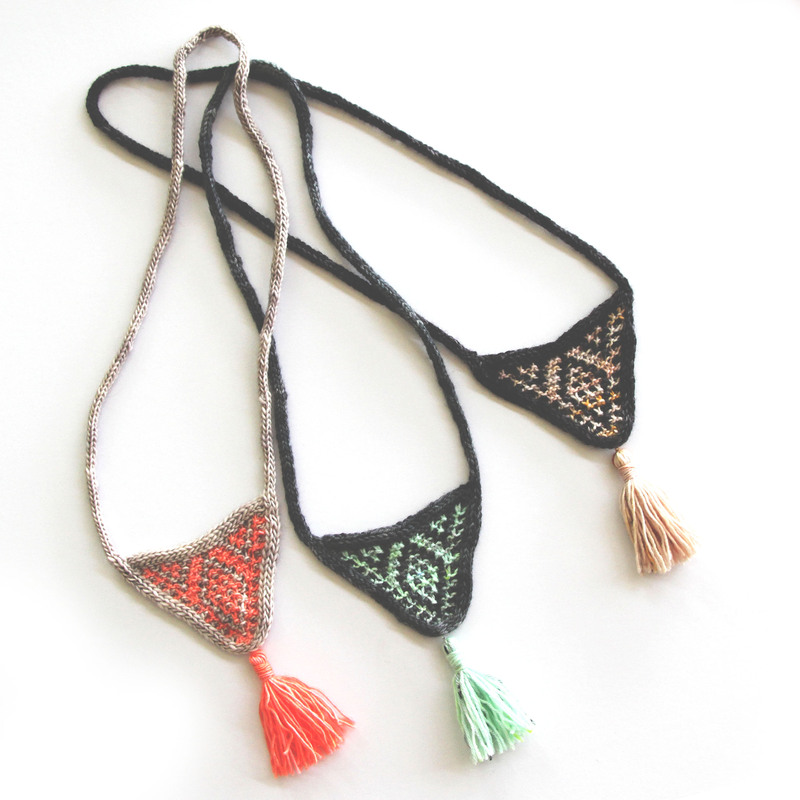 Perfect additions for shawl points and for the Zarah Necklace. 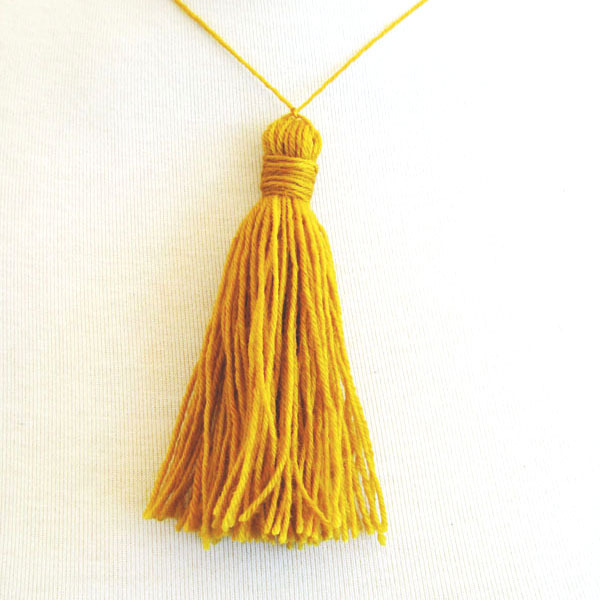 Free download for the i-cord Tassel necklace PDF with these instructions included here. Step 1: Cut a template out of cardboard or plastic. 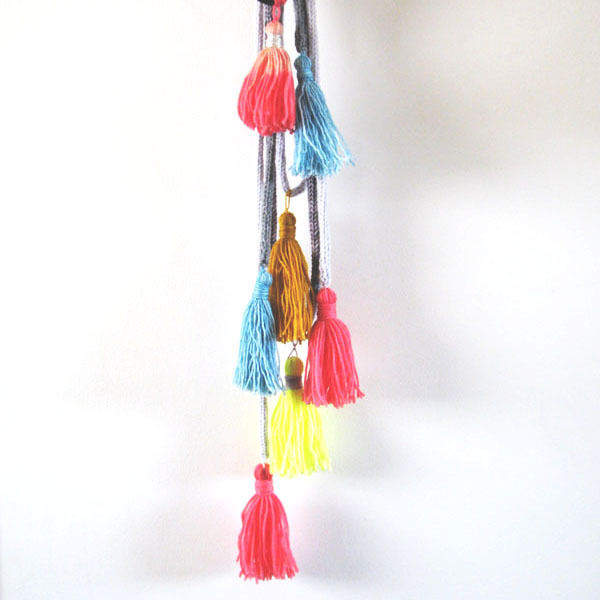 I cut a 2.75″/7cm x 4.25″/11cm rectangle so that I could make two different sized tassels. Step 2: Wrap yarn around the template. Wind it over itself 20 or so times. 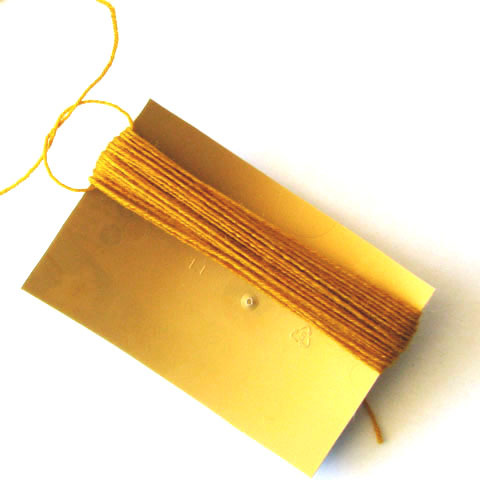 Step 3: Cut a piece of yarn and thread through the loop created at one end of the wrapped yarn. 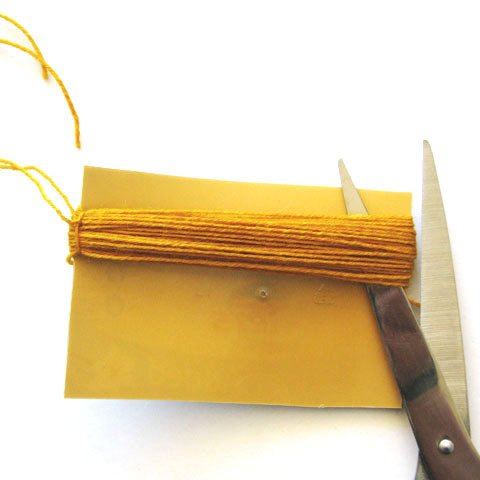 Tie to secure the yarn in place; this will also be used to attach the tassel. Step 4: Cut through and remove template. 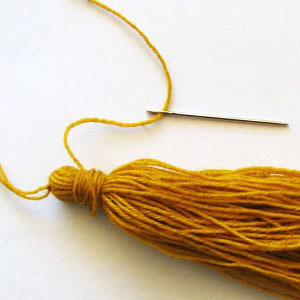 Step 5: Thread a length of yarn onto your darning needle. 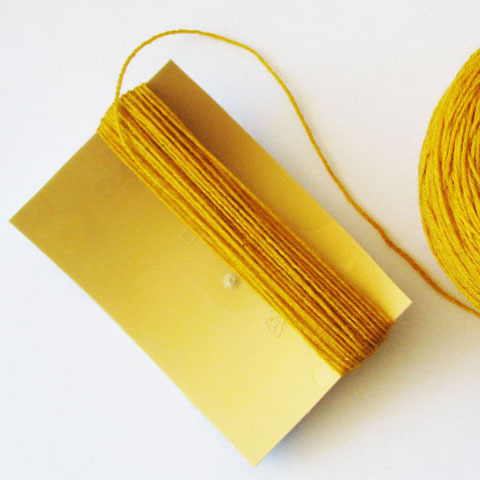 Wrap yarn around the uncut end. 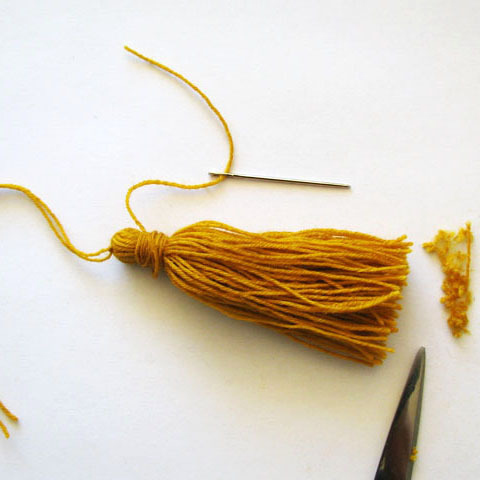 Wind it over itself to create several layers of wrapped yarn, securing the tassel. Step 6: Trim and attach.